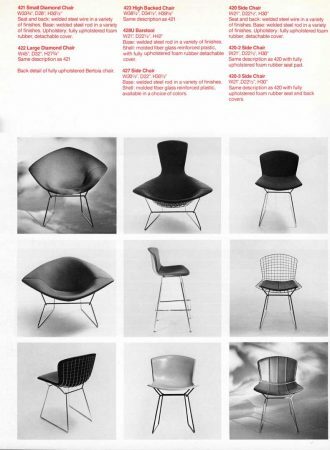 Here are three groups of chairs by three different designers, from three different eras, yet all irresistibly modern. 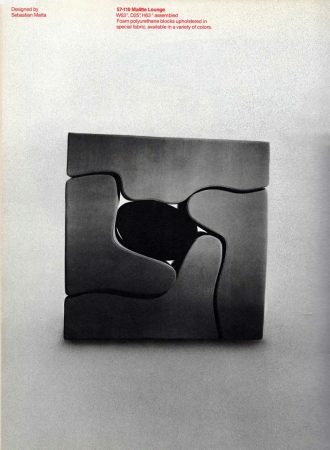 The “Sweet’s Interior Design File” is a massive, thick (2+ inches) hard-bound collection of office furniture brochures. It was compiled in 1970, and you could have art-directed all 7 season of “Mad Men” with the furniture found throughout. 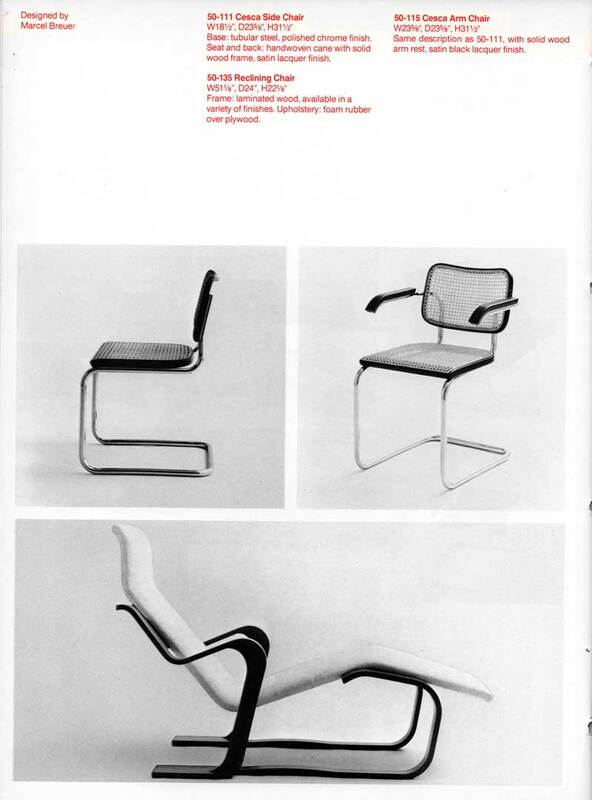 The Knoll company pages alone highlight some of the 20th century’s top design talent. The metal-tube Marcel Breuer chairs date, astonishingly, from 1928 — yet have hardly dated at all. That recliner from the early 1930s looks like it might have inspired a later Ikea knockoff. Roberto Matta came up with the most mysterious and “far out” of our modern chairs appropriately enough in the midst of the mod revolution of 1966. 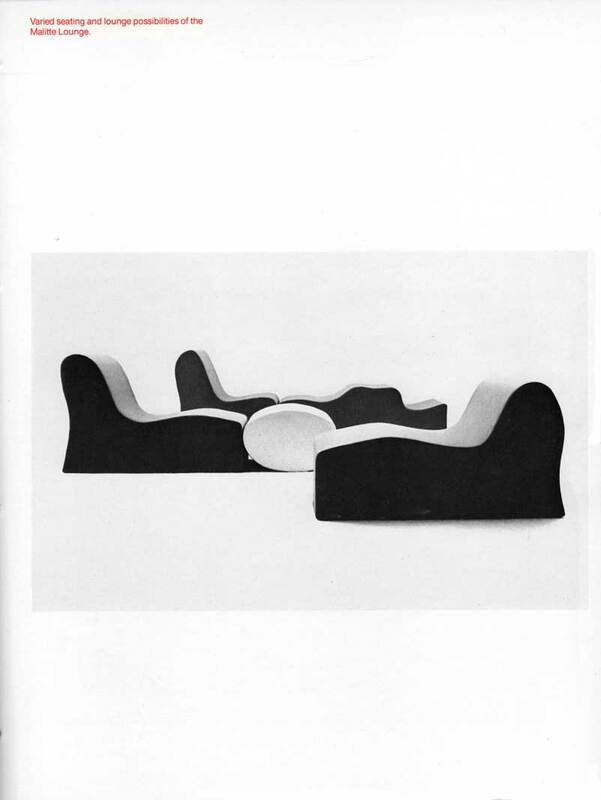 The Malitte Lounge was made of lightweight foam and worked equally as a piece of sculpture or a groovy arrangement of shapes to settle into. 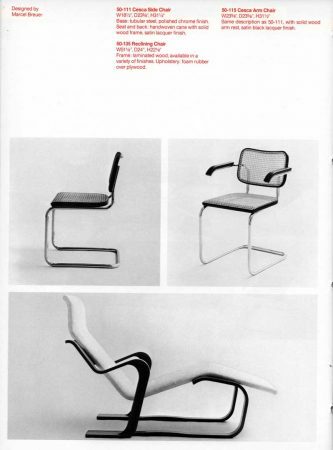 You can see one at the MoMA – and you can buy the other designers’ chairs in new editions even today. Three chairs for classic contemporary design!